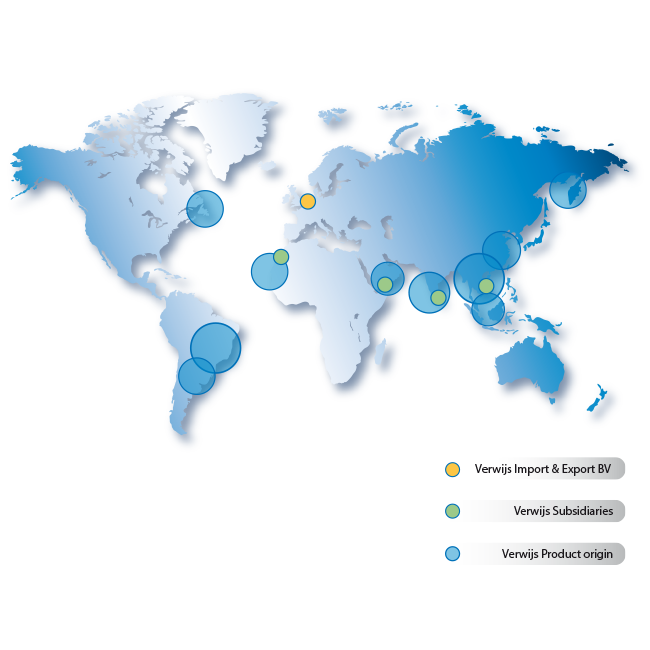 Verwijs Import Export B.V. is a privately owned company processing and trading seafood since 1988. Over the years the core principles of the company have remained the same: providing our clients with a diverse assortment of products from all over the globe, ranging from raw materials, value added, to retail pack. The objective is to strike a balance between the capabilities of our suppliers and the wishes of our clients, taking into consideration environmental aspects. We purchase directly from international sources, our products come from the shallows and the depths of the seven seas. We have developed close relations with our trusted suppliers so we can be sure of proper quality control on all our raw materials and finished products. Africa – Mauritania, Morocco, Senegal.